Your assignment is simple. Write one haiku encapsulating Sherlock Holmes, and leave it in the comments. As a book reviewer, I try to keep an open mind. That said, when author Jennifer Petkus approached me with a book she described as a Sherlock Holmes and Jane Austen mashup, I was a little bit dubious. For one thing, the word “mashup,” while descriptive, doesn’t usually conjure visions of loveliness in my mind. Thankfully, Jennifer’s book is far lovelier than the sound of its genre. My Particular Friend takes place in Jane Austen’s world, but its characters belong to Sir Arthur Conan Doyle—sort of. The narrator is a young lady of reduced means named Jane Woodsen, and her subject is another young lady named Charlotte House. As you might imagine, these two women correspond to Mr. Holmes and Dr. Watson. Jane Austen’s world would hardly allow for a female detective in the traditional vein, and Petkus’s clever solution is to make Charlotte a matrimonial specialist—a person who investigates and assists with all manner of difficulties related to love, courtship, and marriage. As in Doyle’s stories, Jane quickly becomes Charlotte’s right-hand man (er, woman), and mysterious hijinks ensue, told in the manner of episodic stories that lightly connect to one another. Of particular note is the masterful characterization of Charlotte as a feminized Sherlock Holmes. I’ve never seen anyone do it better, even when they weren’t changing Holmes’s gender. Petkus has clearly captured Holmes’s wit, humor, brilliance, and idiosyncrasies. Beyond the basics, Petkus’s book is difficult to describe because of its originality. 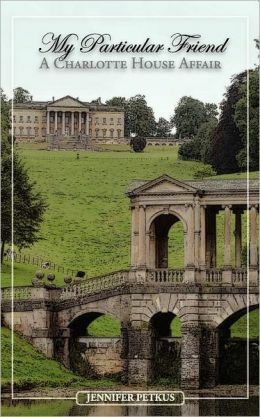 It’s witty, funny, intelligent, and chock full of both Holmes and Austen. Fans of either or both will find a great deal to appreciate. P.G. Wodehouse fans will even find a lot to love in a sly appearance by Bertie Wooster. Of all the books I’ve reviewed, My Particular Friend is one of my favorites. It’s a French macaron—light and airy, with a center that is deliciously witty and endlessly hilarious. There’s nothing traditional about it, and it’s absolutely worth the read. 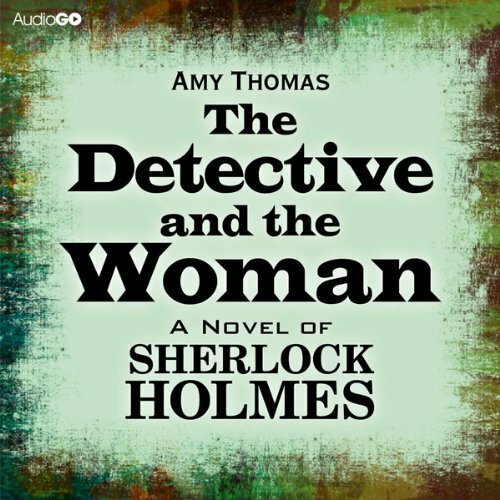 Imagine my excitement when I found out several months ago that a large print edition of my first book, The Detective and The Woman: A Novel of Sherlock Holmes was going to be printed for those with visual challenges. I was thrilled that yet another audience would have access to my work, an audience that has access to a limited number of printed books. Today put the icing on the already-quite-tasty cake when I was notified that The Detective and The Woman has become an audiobook. Now my stories are accessible to people who aren’t readers or who like to listen to audiobooks during workouts, commutes, or while doing other things that preclude holding a book. My friend and fellow author Luke Benjamen Kuhns recently interviewed me about The Detective, The Woman and The Winking Tree and writing in general. You have a new book out now. 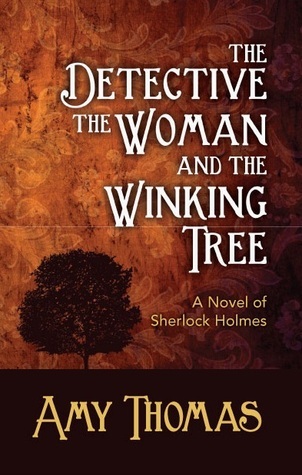 A sequel to The Detective and The Woman called, “The Detective, The Woman, and the Winking Tree. Tell us about the book! The book tells the story of a case mentioned in the original Holmes canon, the disappearance of a man named James Phillimore, who goes into his house to get his umbrella and disappears. Watson tantalizes readers by mentioning the situation, but he never explains what happened during Holmes’s investigation, so that’s what I set out to do. I also wanted to develop the friendship between Holmes and Irene Adler, which got off to a good start in The Detective and The Woman. How did the story come to being? That ends up being a somewhat metaphysical question… As I said above, I was inspired by the canon mention of James Phillimore’s disappearance. Beyond that, I just let my imagination go and tried to keep the good and jettison the bad as I wrote and edited. What is your draw to Irene Adler? I think Irene is an incredibly complex character. She’s one of the few people in the Doyle canon who start out with Holmes having one impression of them and succeed in changing it for the better. I really dislike when she’s depicted in pastiches as a sexually provocative femme fatale, since “A Scandal in Bohemia” shows her getting happily and respectably married, and the story is really more concerned with her clever mind than her sexuality. She’s the one woman and one of the only people in general who successfully tricks Sherlock Holmes in the original canon, and I’m drawn to her personality and her ingenuity. Don’t forget, I’ve got a new book out! 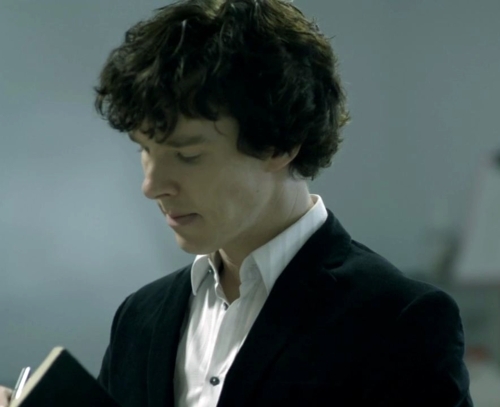 According to personality experts who have studied the canon, Sherlock Holmes has an INTP personality. That means he’s an Introverted, Intuitive, Thinking Perceiver. Few, I believe, would dispute the fact that Holmes is an introvert. He’s clearly the most energized by his own company or the company of those in his inner circle, usually only Watson, but sometimes widening slightly. He rarely ventures beyond that circle for any reason other than work-related tasks, and when he does, he still has a clear objective. His idea of relaxation is attending a concert for the music itself, not the people. 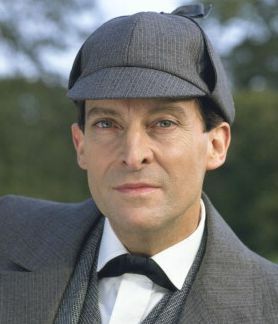 Holmes’s intuition is also clearly in evidence, since he uses it constantly to solve cases. Someone might argue that he’s sensory, given his sharp ability to take in the smallest detail of the world around him, but he never does it for its own sake. The information he takes in is always assimilated into his brain for processing and relating to the case at hand. He can live in his own brain for days, a classic trait of those with an extreme intuition preference. The canon proves that Sherlock Holmes is not without feeling, as is sometimes erroneously claimed, but he’s still a thinker based on his preference for making decisions based on logic rather than emotion. He’s the ultimate example of someone who forcefully seeks to let reason inform his every decision, and he usually succeeds. His feelings are certainly present, but he rarely lets them influence his choices. Finally, Holmes’s perceiving preference can be seen in his creative thinking and flexibility toward rules. In many cases, he applies his own standards of justice and morality to situations, and he’s rarely susceptible to outside efforts to control him. In classic perceiver style, he hates to be forced to adhere to others’ schedules, preferring to work in his own way on his own time. Overall, the INTP personality usually means a preference for working independently instead of leading or following, a preference for intellectual pursuits, eccentricity, dry wit, and a low need for social interaction. All of these Holmes possesses in abundance. My own pursuit of self-discovery has yielded the answer that I am also an INTP. I believe this is part of the reason that I, and people like me, enjoy Holmes as a character. He’s a successful INTP who manages, without changing any core aspects of his personality, to carve out an existence that plays to his strengths and makes those strengths accessible to the world. For those of us who often feel like aliens in an extrovert-dominated, overstimulating, emotional world, Holmes is a hero in a very personal way. 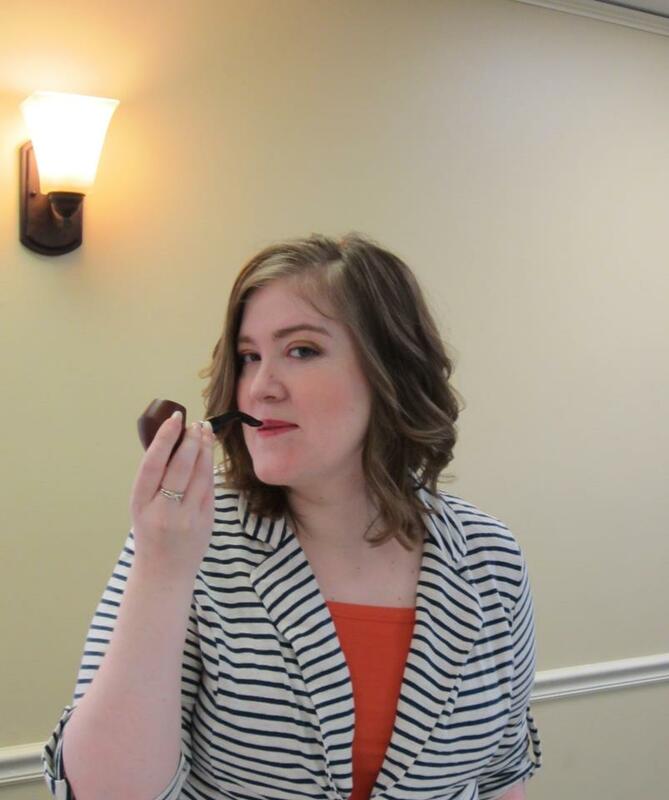 Do you believe your personality preferences, whatever they may be, influence your enjoyment of the Sherlock Holmes stories? Why or why not? The Detective and the Woman: A Novel of Sherlock Holmes is available from all good bookstores and e-bookstores worldwide including in the USA Amazon,Barnes and Noble and Classic Specialities – and in all electronic formats including Amazon Kindle , iTunes(iPad/iPhone) and Kobo. Grab it before the sequel launches February 13, 2013! MX Publishing is giving away three copies of my new novel, The Detective, The Woman, and The Winking Tree, launching February 13th, 2013!